When Sugar Wallace arrives in Manhattan with nothing but a beehive, a secret past and a taste for good manners, life starts to change for the dispirited occupants of 33 Flores Street. But as love wings its way into their hearts and homes, it flies away from Sugar herself. That is, until a doorman without a door and a certain busy queen join forces in a sting to end all stings. It looks like love might be in the air once more ... but for how long? 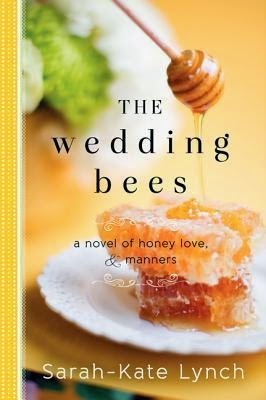 The Wedding Bees was completely charming and had me hooked from the beginning. After all, who does not love a southern gal? Somewhat innocent and having also obviously been hurt before, Sugar was endearing, naive or perhaps just inherently genuine and the kind of person you would hope would be on your side. Becoming involved with her neighbors and changing their lives for the better was charming. The bees only added a wonderful and interesting quality to the story but I can't say that I could picture them being in a major city. I do like it when life brings along little surprises though because it feels almost magical, much like this story did. The lives and loves described in this book were original yet something I could not particularly picture in New York, and having spent quite a bit of time there, I would consider myself a little bit knowledgeable about the city. The city seemed somewhat impersonal so imagining lives becoming so entwined was a bit of a departure for me but I enjoyed it for the pleasure it could create through the simplicity of human contact and engagement. Not to say that I did not enjoy this story because I truly did despite not being able to imagine certain aspects. I couldn't help but feel warm inside by the way things worked out perhaps against all odds at times. So if you are looking for a feel good wonderful charming tale, The Wedding Bees is a book for you.